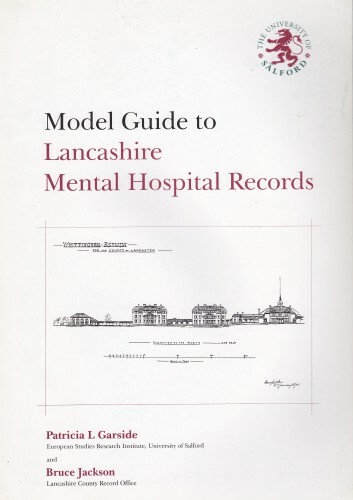 Previous Names: Sixth Lancashire County Asylum, Whalley Asylum, Queen Mary’s Military Hospital, Calderstones Institution for the Mentally Defective. Closed: 1995 (long stay wards), hospital remains open on part of site. The asylum at Whalley was to be the final of six county lunatic asylums for the County of Lancaster under the management of the Lancashire Asylums Board (LAB). Plans for the asylum were first devised during 1901, even prior to the completion of the fifth asylum at Winwick. 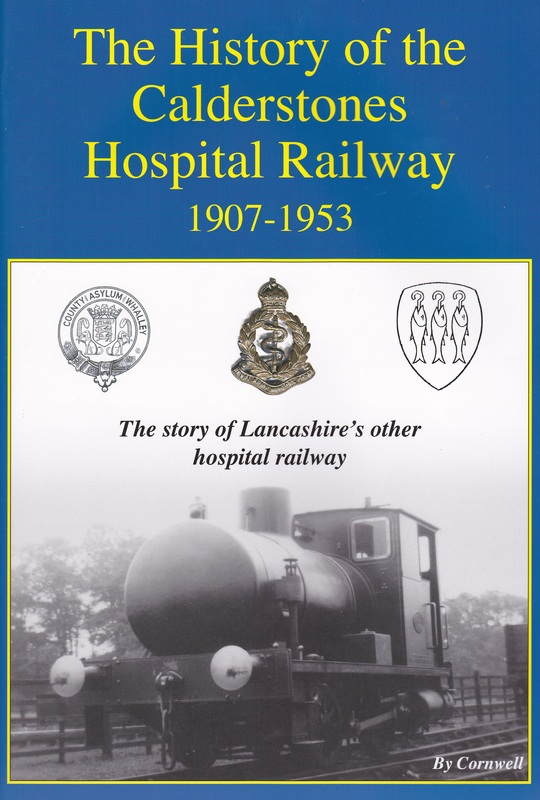 Its location would be suited to alleviating overcrowding at the already large, north Lancashire asylums at Whittingham and Lancaster and sited near to Clitheroe to serve the areas surrounding the industrial towns of Blackburn, Burnley, Accrington, Nelson and Colne. A site at Whalley Moor known as Clay Fields was purchased from the Whalley Abbey estate and was bordered by the road to Mitton to the east and the River Calder to the south close to it’s confluence with the River Ribble. Adjacent land on the east side of the Mitton Road was also purchased to allow the construction of sidings from the railway line as well as including Brook House Farm to provide for the institution. Initial plans for the institution from 1904 had been based upon the colony plan which was becoming popular on the continent but was only to be implemented slowly into English Asylums at this time. The architect Henry Littler of Manchester was asked to revise the plans which eventually removed the majority of the colony layout aspects and replaced them with a more traditional pavilion based plan which was accepted in 1906. 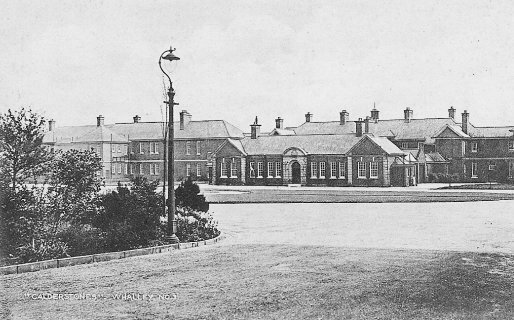 Littler had previously been responsible for the Whittingham asylum and additions and annexes to Prestwich Asylum for the LAB and its predecessors. The complex was provided with two vehicular approaches to the east, both entering from the Mitton Road. 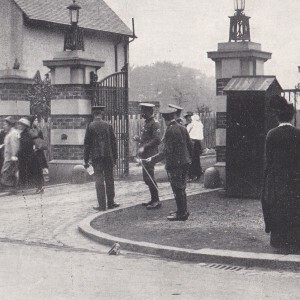 The primary entrance was sited to the south end of the site and led due west past ‘Ravenswood’, the Superintendent’s residence to the a large circular hub from which an admission hospital lay to the south and the main complex to the north. Various linear access routes led from this road to give direct access to individual buildings. The driveway from the north was intended primarily as a service road and the gate was adjacent to a lodge, rows of cottages intended for married attendants and residences for other senior staff. 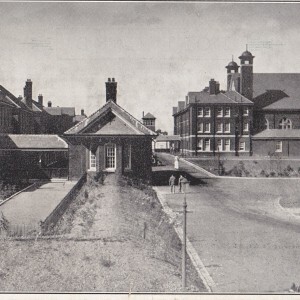 The isolation hospital stood to the north and the drive conned west to the west the service areas of the asylum, including boiler house, water tower and laundry. A third point of access was provided by a branch railway from the Lancashire and Yorkshire Railway’s Bolton, Blackburn and Hellifield Line at Barrow sidings where it entered the asylum property. The line, in cutting, crossed under a bridge carrying the Mitton Road and onto the main complex to the north of the staff cottages and isolation hospital. The line then branched further with track continuing west to the gas works and to the south to run through the service area where access was provided to the boiler house and stewards stores. The main building was designed to accommodate a range of different management classes of inmates as was common to most asylums built at the time. Either side of the administrative block were sited two storey blocks for physically sick inmates, followed by those for the infirm, acute and epileptic patients and each block was configured specially to the appropriate number of dormitory space and side rooms required for the class of inmate accommodate. To the north of the service drive were placed two blocks for working inmates who would be employed in the laundry or workshops dependent on their gender. Two three-storey blocks on each side between the epileptic blocks and the service drive were a later addition to the plan. Each block was linked to the adjacent wards and the rest of the complex by linear and spur corridors crossing the access roads. 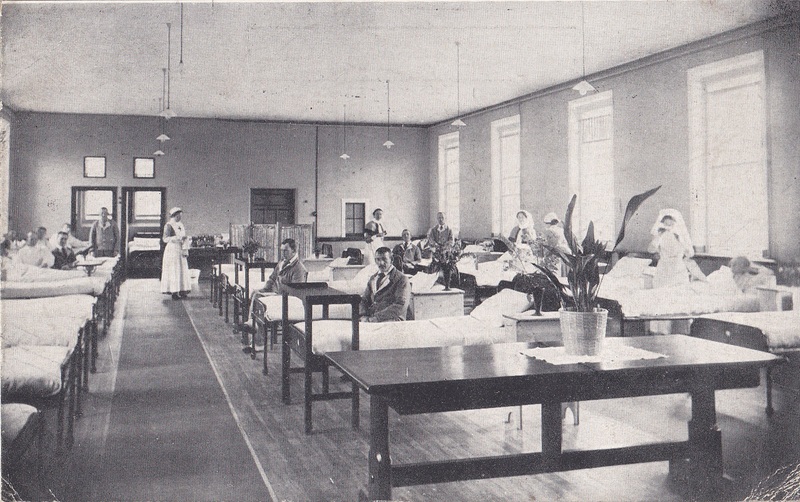 The total accommodation including additional chronic wards was planned for 2,000 inmates, similar in capacity to the existing LAB asylum at the time. The administrative block formed the focal centre of the asylum and was flanked on either side by visiting rooms at the foot of each linear corridor. Behind a corridor linked administration to a large recreation hall flanked by a pair of ventilation towers, crossing a substantial lawn area which had been intended for the site of the asylum’s chapel but had been resited at a late stage to the east of the asylum near to Ravenswood and the space left remained vacant. Behind the recreation hall were located Kitchens, stores, the power house and water tower. Male patients were located to the east of the main building and admission hospital with females to the west. The building was constructed from 1910, with red bricks using clay dug and fired on the site and with slate roofing and double hung timber sash windows. The style of the structures was an institutional Neo-Georgian which would become the mainstay of mental illness and deficiency hospitals after the Great War. 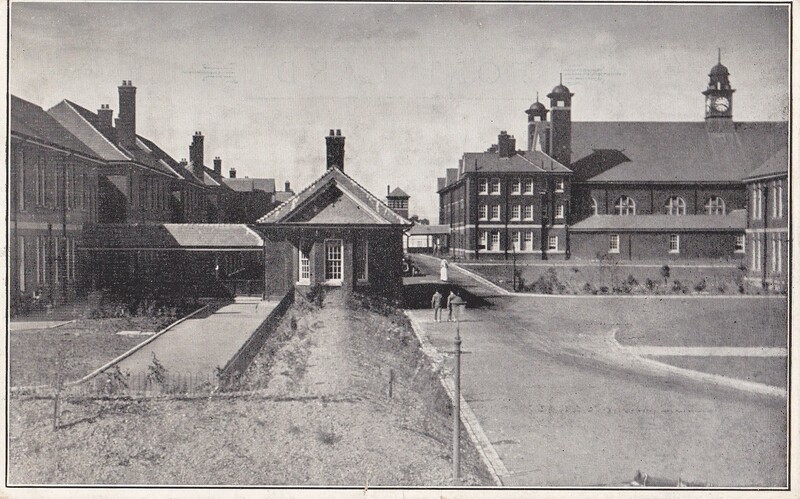 The layout of the buildings closely resembled the plans previously implemented at Leavesden and Caterham Imbecile Asylums, developed by the Metropolitan Asylums Board in 1870 and the later Banstead Asylum for the Middlesex County Council in 1877 which also consisted of parallel ranges of blocks either side of a central service section and described as a dual pavilion plan, although the wards at Whalley avoided the mistakes of their predecessors by being more widely spread and mostly of fewer storeys to avoid impeding aspect, light and ventilation. 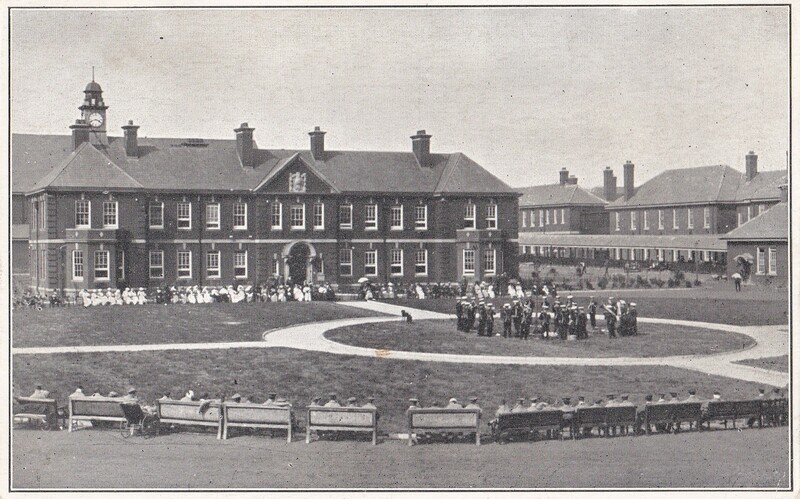 The Queen Mary’s Military Hospital officially opened on 14th April 1915, receiving it’s first patients from 6th May of the same year. Patient’s were received by railway and temporary stations were set up in the service areas to accept them. Each block was redesignated to accommodate a medical or surgical patients for military use and facilities such as an operating theatre were constructed. 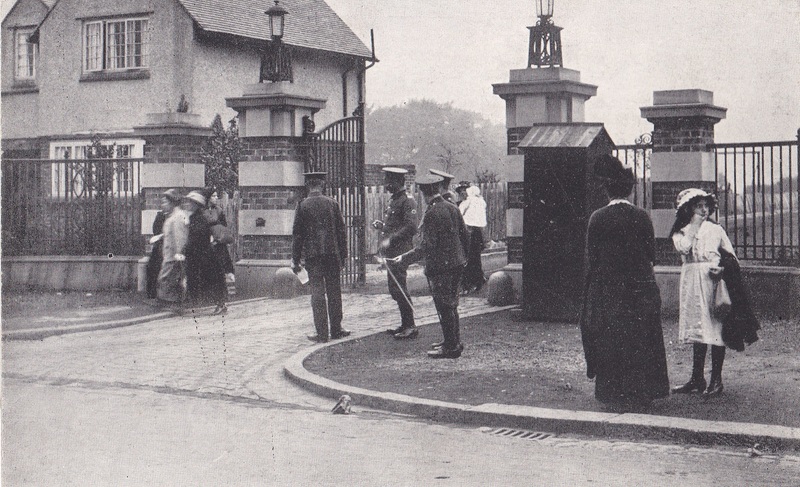 Other developments by the military included a temporary wooden hutted complex to the east of the site to accommodate staff on site and a burial ground to the east of Mitton Road beside the railway bridge for those who were to die of their injuries, which was consecrated during 1916 and a total of 33 burials taking place there during the Great War. A pair of mortuary chapels were also constructed there for Anglican and Catholic burials. 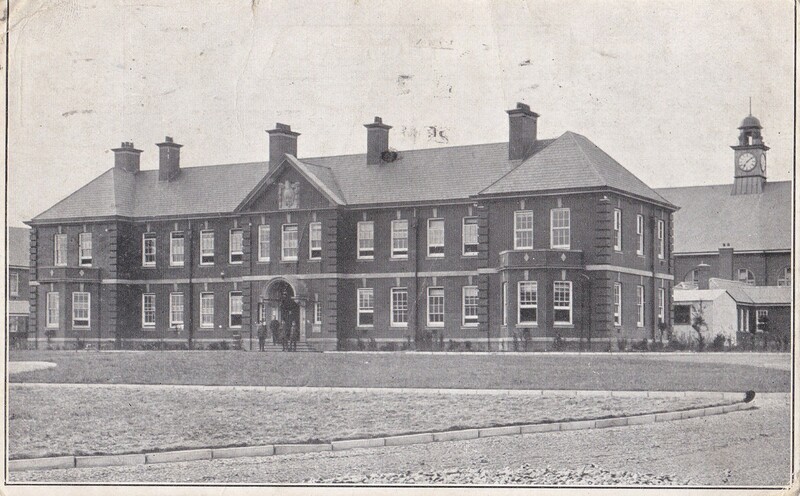 After the cessation of hostilities the Queen Mary’s Military Hospital was wound down, closing on 30th June 1920 and was fully vacated on the 5th November that year. 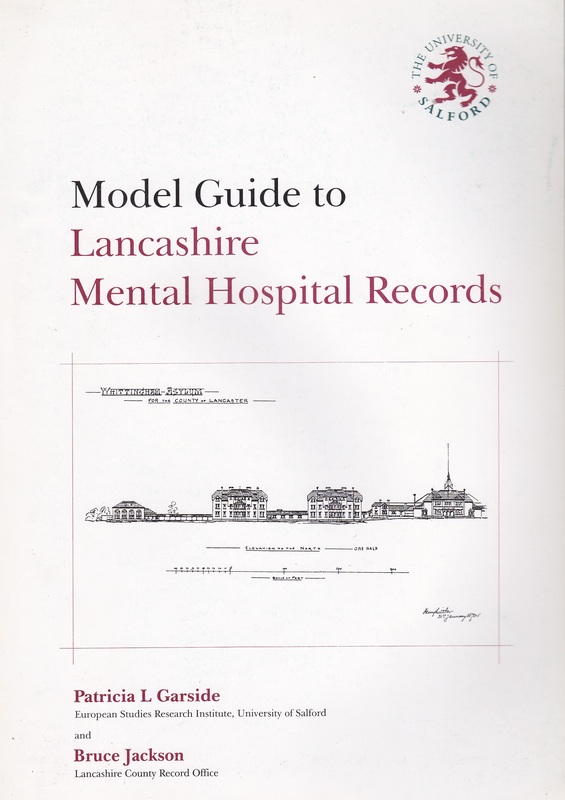 The Lancashire Mental Hospitals Board (LMHB), as the LAB had become, were now able to prepare the hospital for use but a reduction in demand for space for the mentally ill meant they were to amend their plans and the site had been approved for use as a Certified Institution for the Mentally Defective from 15th June 1920. The intention was for this to be the case until adequate facilities for the mentally defective could be provided elsewhere with the institution then reverting to the intended purpose, however this was not to be the case. 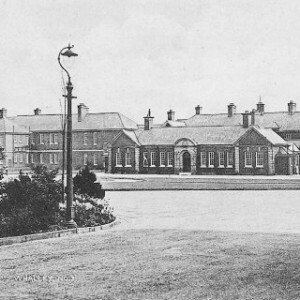 The LMHB already operated the nearby Brockhall Institution, originally constructed as an inebriate reformatory to accommodate mental defectives from 1915, gradually becoming the sole occupants of that site in response to the failure of the Inebriate Reformatory movement and a change of legislation, the Mental Deficiency Act of 1913 obliging each county to provide provision for such persons. Given their close proximity the existing Brockhall colony was to be operated as an annexe of the Whalley site and the Medical Superintendent of the former, Dr. Frank A. Gill, was appointed to manage both sites from Whalley. The first admissions were received on 25th June 1921 and a new name for the site was chosen in order to avoid ongoing issues with local gentry who had long objected to the use of the village name for the asylum. The new name, Calderstones was chosen and was derived from a foot crossing at Potters Ford, nearby on the River Calder which proved sufficiently obscure to avoid offence. The so called Calder Stones themselves have since disappeared with increased flow of the river. The LMHB were to operate three dedicated certified institutions for the mentally defective in the interwar period. The smallest was Seafield House in Seaforth, built as a hotel and later became a Convent School before being taken on by the West Derby Union, whose institutions passed to Lancashire from 1930. The home remained in use until 1939 when the onset of World War II made its dockside location unsafe and it was evacuated to Greaves Hall, Banks and it never returned to Seaforth. 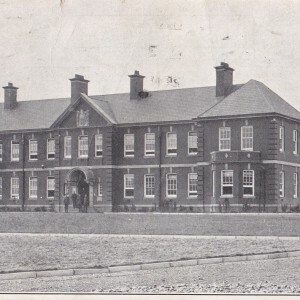 Brockhall had opened under the LAB in 1904 as one of a small number of institutions to provide custody and treatment of inebriates in line with a movement to avoid the perpetuation of alcoholism. Other counties with similar institutions included Whixley for the Mid Yorkshire Joint Committee and Farmfield for the London County Council although the original and major provider were a charitable organisation based at Brentry Reformatory in Bristol under the Rev. Harold Burden. With the reformatories not providing expected results or satisfactory outcomes they gradually closed with most being turned over for mental deficiency use. Brockhall later underwent a major expansion programme during the 1930’s resulting in a colony equivalent in size to Calderstones and subsequently becoming run independently. 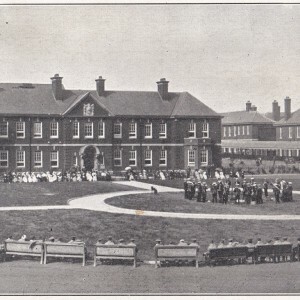 Given Calderstones’ already vast scale when opened with capacity for 2,100 patients, the building was never subjected to major expansion and both Calderstones and Brockhall vied for position with Caterham, Leavesden and Darenth Park institutions in the London area as the largest of all the mental deficiency institutions under the Board of Control. As Mental Deficiency encompassed many people with congenital or hereditary conditions a proportion of the buildings were available for children and a number of facilities such as swings were provided in the airing courts, with a school and staff residences occupying the hutted buildings left from the war. The patients were encouraged to learn and undertake useful occupation and training usually within the institutions boundaries but could also extend to local domestic service and other employment. The only major addition to the site, a nurse’s home was commenced in 1929 to the west of the main building and extended during Word War II to enclose a rectangular courtyard. World War II resulted in the partial vacation of the northern part of the site as the Emergency Medical Services set up as a casualty treatment hospital in the buildings, returned again after the cessation of hostilities. After the war modifications to the boilers meant there was no longer requirement to received fuel by rail and as the gas works had already been abolished, the railway line from Barrow Sidings was closed in 1951 and removed the next year. Burials continued in the cemetery but by the time it close still number less than 1,000 civilians although a further 9 military fatalities had been interred there in the Second World War. 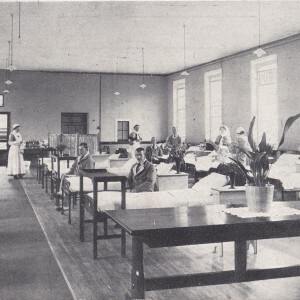 During this period, capacity could be up to 2,500 but had dropped below 1,500 by 1974 as moves were made to prevent long term admissions to mental handicap hospitals in light of a number of scandals institutionalisation, the widely variable quality of care and treatment available and the behaviour of staff working in such locations. As the move towards community based models of care expanded the inpatient population continued to reduce, resulting in the closure of majority of the building during the 1990’s with remaining services relocated into the buildings around the administration block. The area to the rear was subsequently demolished. At the time of writing Calderstones Hospital remains open for learning disabilities services which are mainly provided for forensic and secure cases. The hospital currently operates with around 220 beds making it the largest remaining learning disabilities facility in the country although there have been calls by politicians to to close the site. The administration block and two adjacent former female blocks, Nurses’ home, centre and eastern sections of the admissions block remain in use as do the former Superintendent’s house and chapel although not serving their original purposes. The original ornamental gateway and gatekeepers hut have long been demolished to improve access but adjacent South Lodge cottage and staff houses on The Crescent remain. Further houses on Mitton Road also survive including Bridge Terrace, Queen Mary’s Terrace, North Lodge and a number larger staff houses. The site of the majority of the wards and service areas including the recreation hall, water tower and laundry has been completely cleared in 2000 and replaced by a residential development named Caldertones Park. The line of the railway can still be discerned including the bridge carrying Mitton Road, although the area beneath has been filled due to problems with the structural integrity. The hospital burial ground remains accessible but maintained to a minimal level with vandalism having damages the mortuary chapels and surviving monuments. The military burial ground, accessed via the civilian one is by comparison immaculately maintained by the Commonwealth War Graves Commission. The hospital cemetery is no longer owned by the NHS having been sold privately on a number of occasions since the majority of the hospital was closed. Enjoyed the history. I worked there from 1981 to 1989, as a student nurse and then on the resettlement scheme at the start of the move to close the hospital. Many memories and mixed emotions. I witnessed many bad practices there and voiced my concerns. At this time there were many people opposed to the move away from institutional care, particularly from staff who had worked there for a long time and from parents and carers. Thankfully the manager at the time also shared our views. He started the study which led to the document ‘A Model District Service’ from which the initial plan to resettle students away from institutional care. 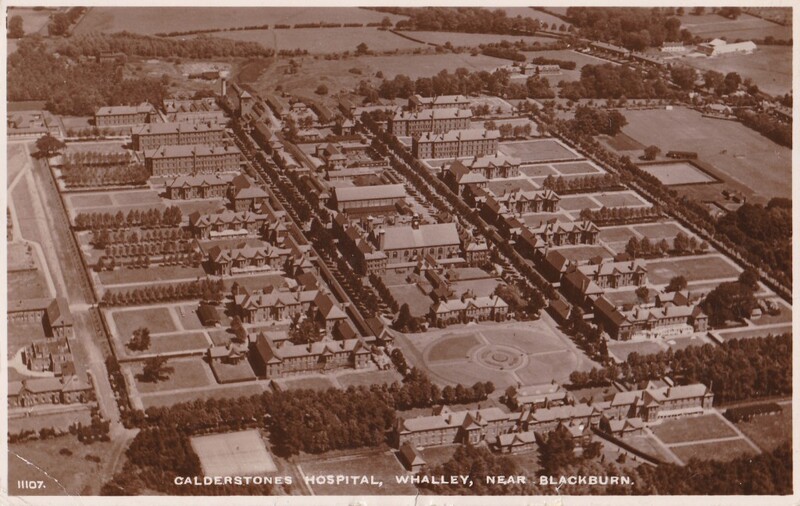 It is important we keep a historical record of places like Calderstones. Is it possible to show some internal photographs. Very interesting Richard – and I do wish we had more internal images, sadly like so many of these places, they were torn down without anyone bothering to document them properly before they went. Hi Dominic, Can you contact me please? I am chair of Friends of Caldestones Cemeery. My uncle pased away in Calderstones in 1980. He was there from a child in 1934 (for stealing some chickens!) I never met him but I became interested in his story recently and I wrote to Lancashire Council to ask for information. They sent me a full record of his admission and detention there but nthing about his death and burial. Would he be in the cemetery there? Possibly – click on the related info tab for details on where records are kept. 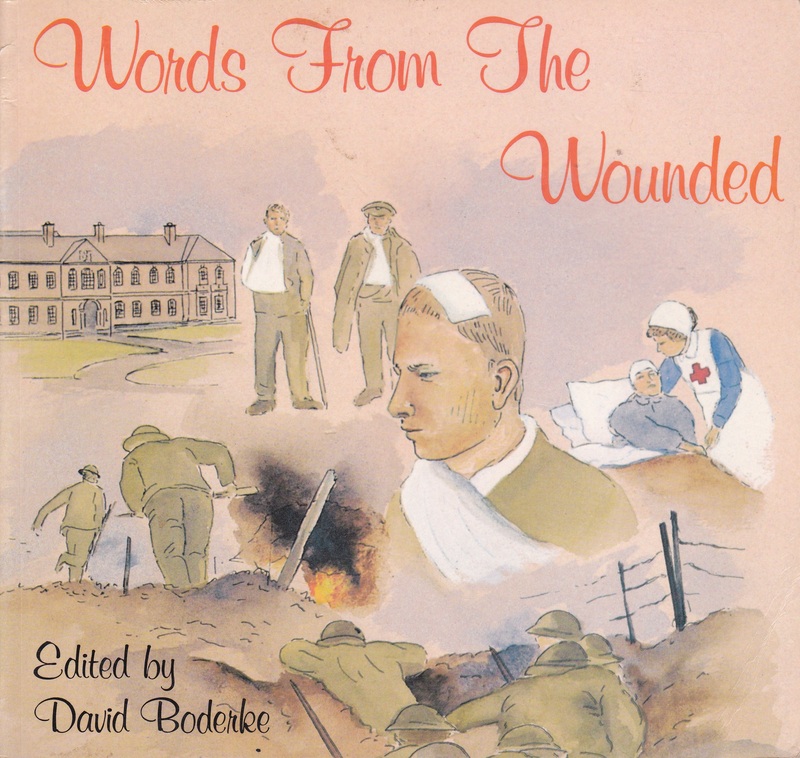 My Aunt was sadly placed at Calderstones, during the war years, she lived with an abusive husband who did not care for her following the brith of their baby. she had a form of post natal depression which I don’t think was recognised in them days. sadly she never left and died their in the mid 1980’s, I would love to find out more about her. Can anyone tell me if this place is the same where kosovan refugees were deployed from Macedonia during NATO bombing of serbia during 1999? First group arrived on May, 28, 1999.